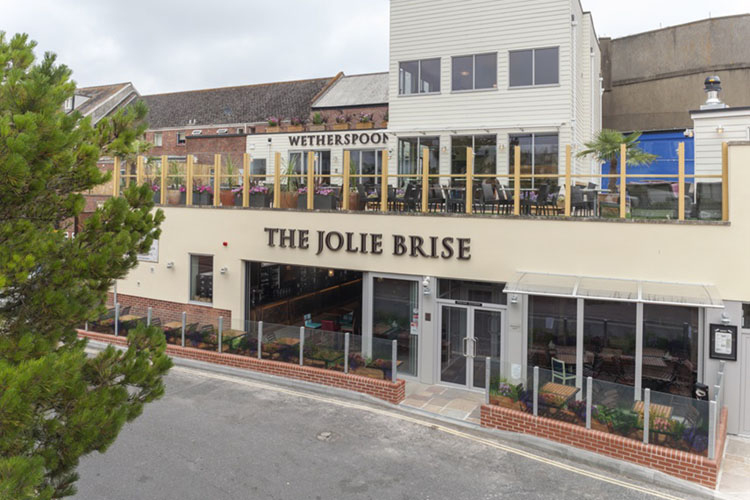 In 1925, Teignmouth, the husband of Henrietta Paddon teamed up with the Commander EG Martin to win the first 600-mile Fastnet Race in the gaff-rigged pilot cutter Jolie Brise. 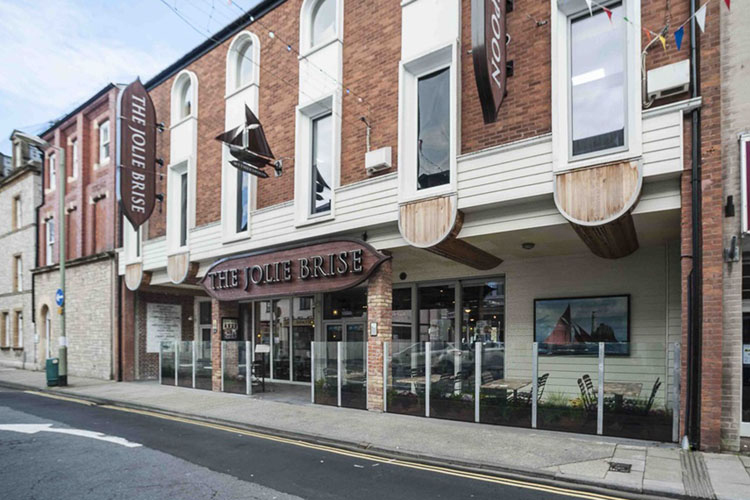 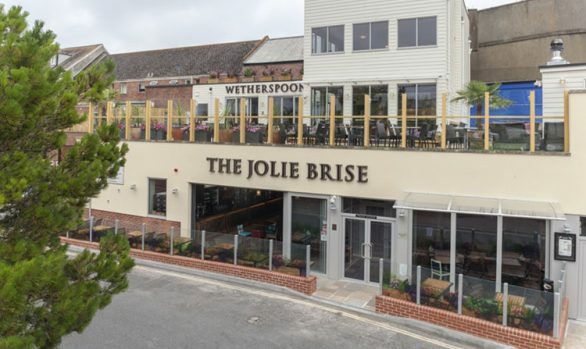 Having been the only vessel to have won the race three times, it was only fitting that Wetherspoon aptly named their pub in Teignmouth, Jolie Brise. 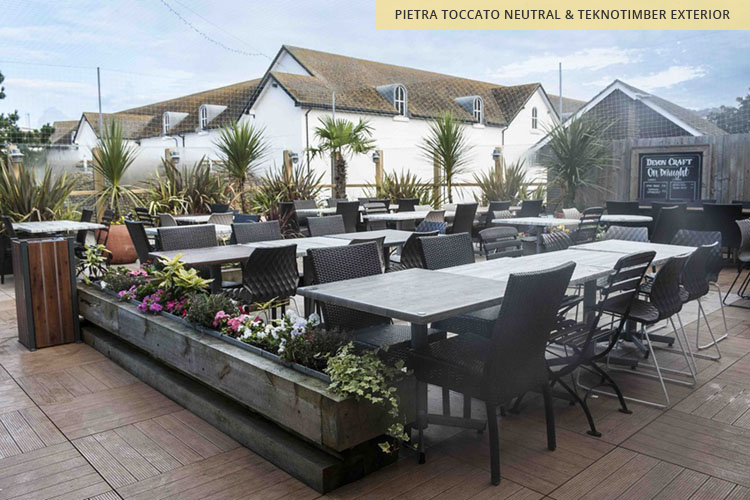 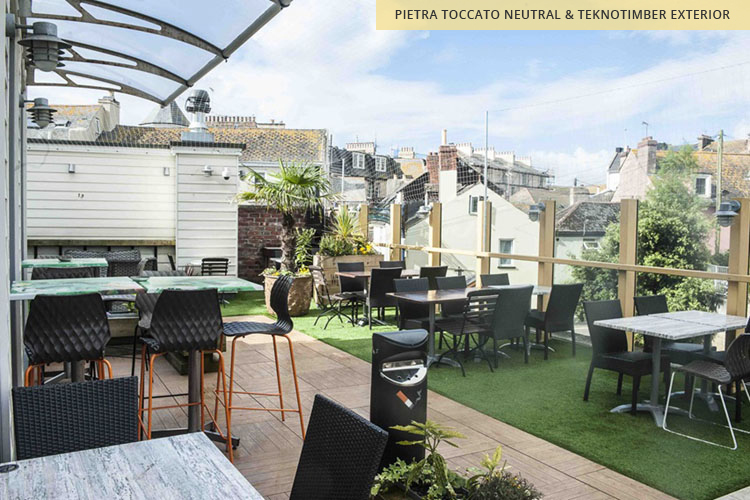 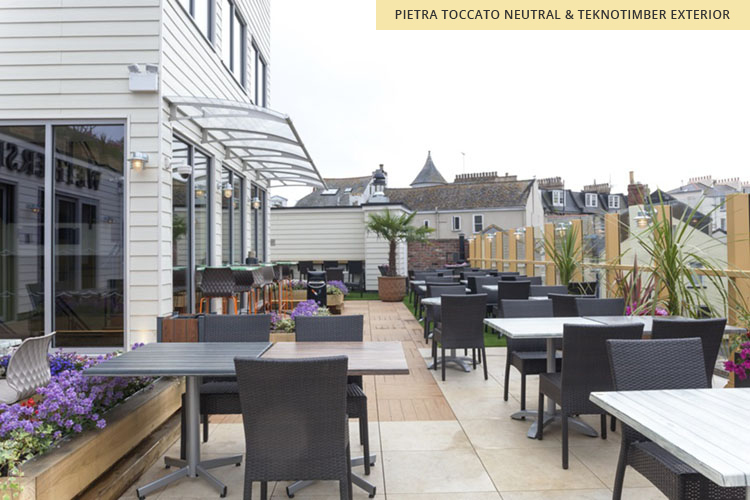 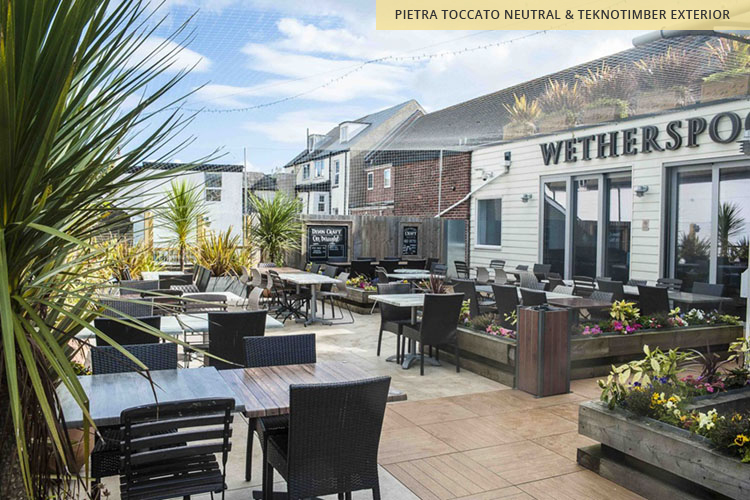 Situated close to the southern shores, the Teignmouth pub boasts a 220m² exterior terrace space for guests to dine on during the warmer months of the year. 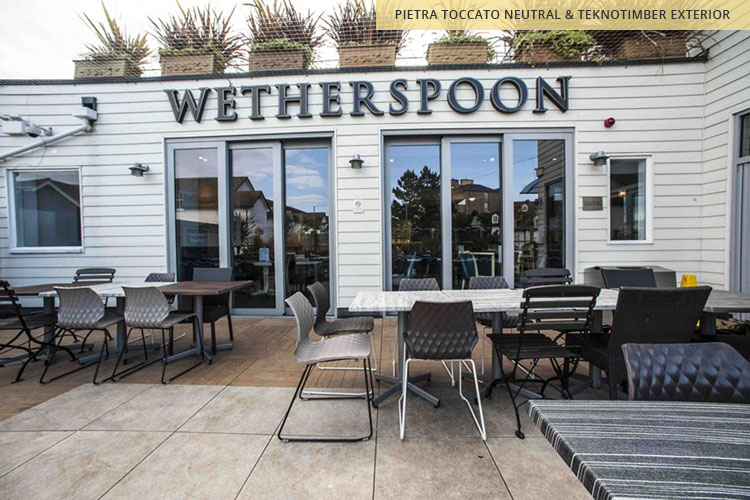 At Surface 360, we were delighted to yet again take on a new challenge for our good friends at Wetherspoon. 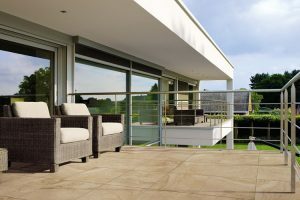 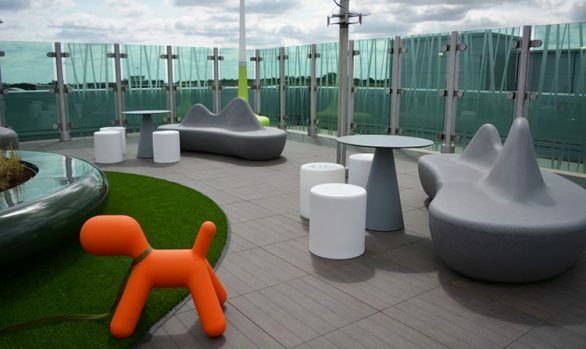 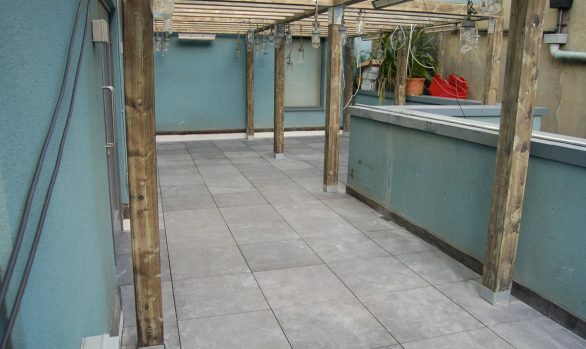 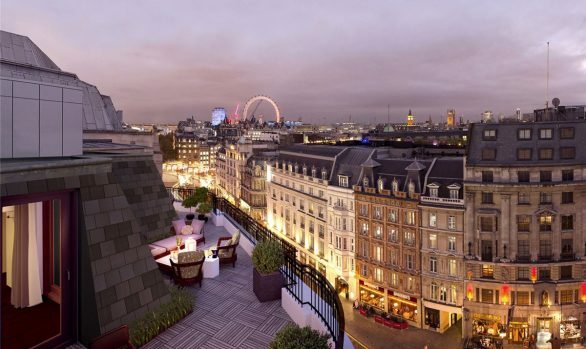 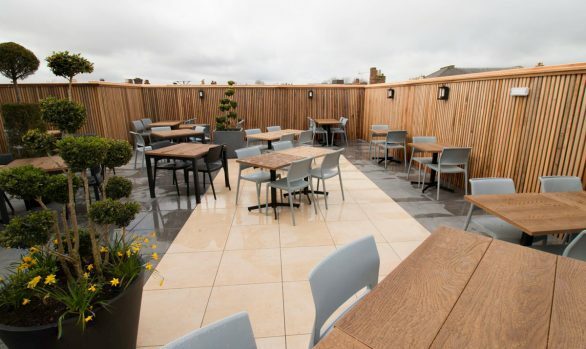 However, this project turned out to be rather more complicated that expected, as the terrace area was not designed with a raised paving tile floor in mind. 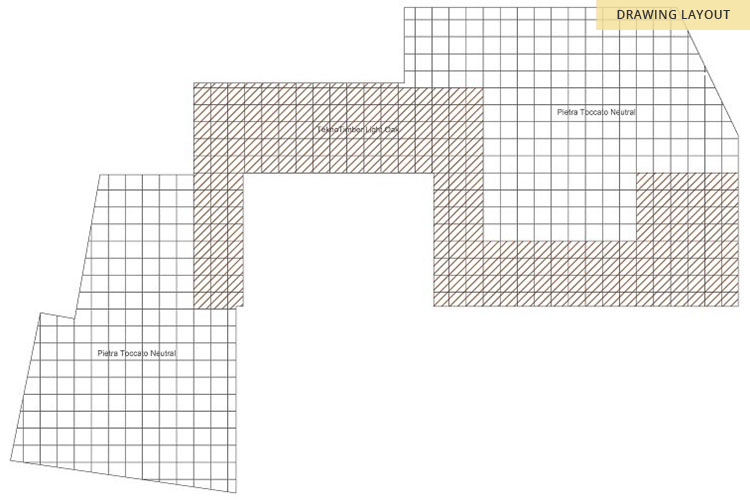 There were various different threshold heights that did not take into account paving falls, which we uncovered on the initial site survey. 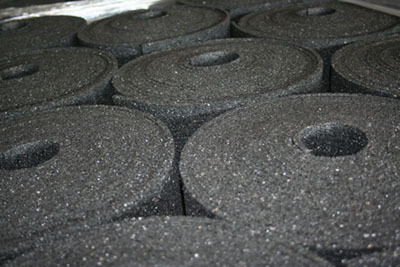 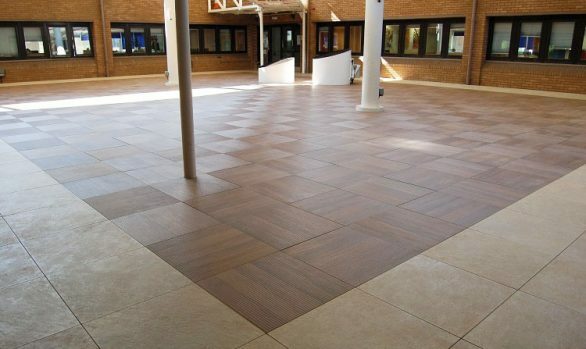 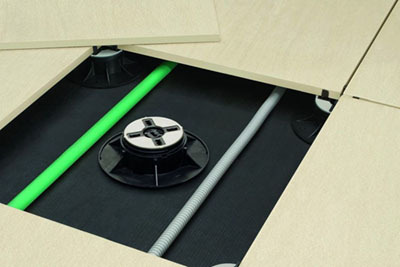 The Wetherspoon brief was to create a free draining surface that met the desired threshold heights, while offering a slip resistant and easy-to-maintain finished surface. 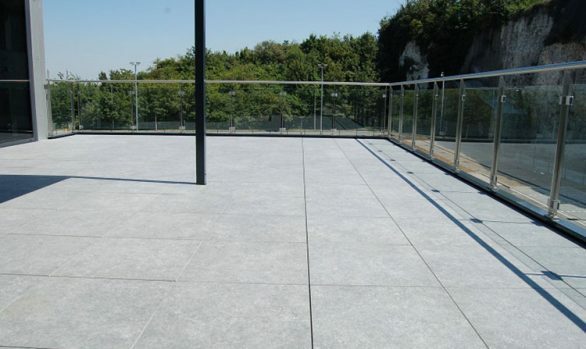 The layout and falls on the project were accomplished through the undertaking of a thorough site laser levels and a dimensional survey. 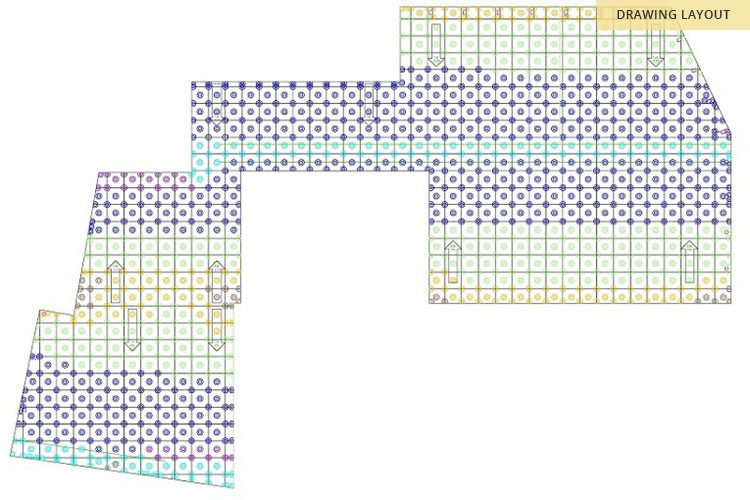 The team then designed the layout to incorporate several falls transition points to enable the correct FFL at the desired threshold points with suitable paving falls for drainage. 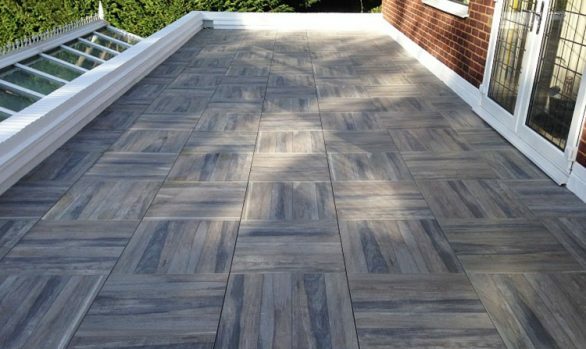 Using a combination of timber-effect and stone-effect 20mm porcelain paving tiles from the Surface 360 range, we were able to supply and install a surface with a high slip resistance. 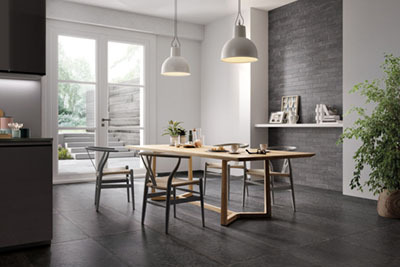 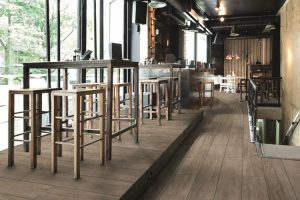 Both tile ranges offered an R11 (A, B & C) Classification for slip resistance, which is tested as a UK recognised, German National Standard. 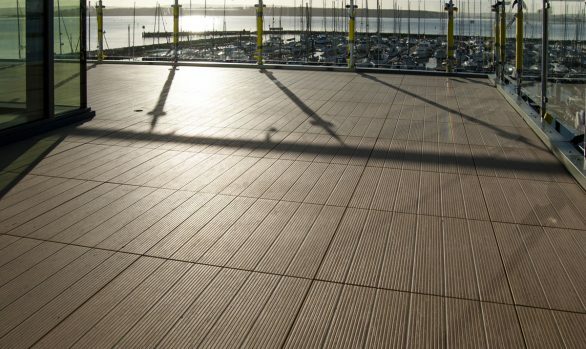 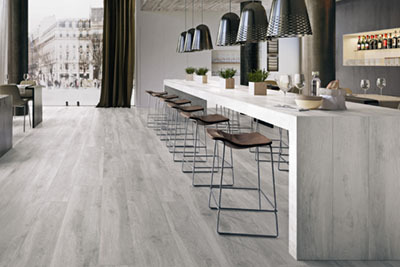 The timber surface finish was achieved using our hyper-realistic, timber-effect, TeknoTimber 02 porcelain paving tiles. 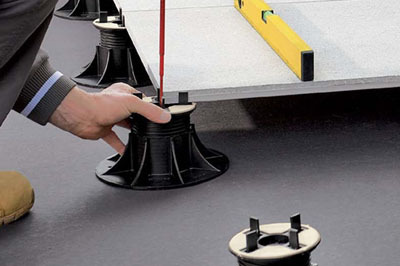 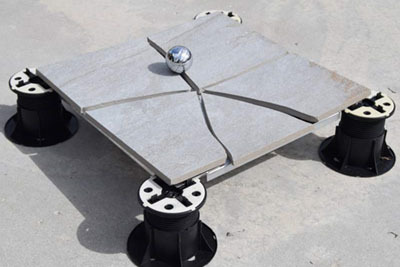 Utilising a square, 600mm x 600mm large format, the team installed the tiles on top of our self-levelling, height adjustable pedestal support system. 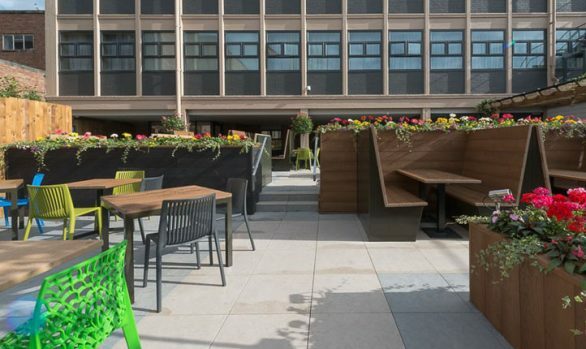 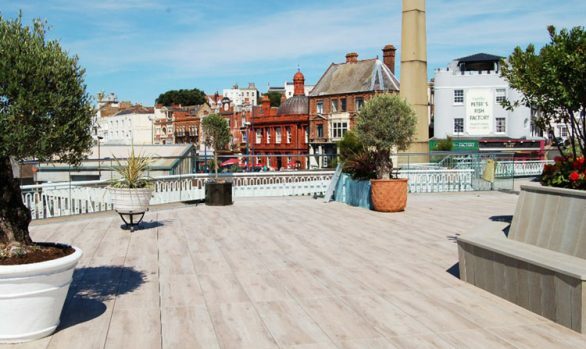 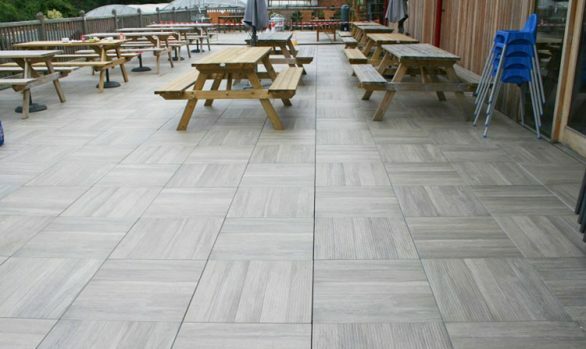 Alongside the conventional looking timber decking, Wetherspoon opted for a contrasting neutral tile. 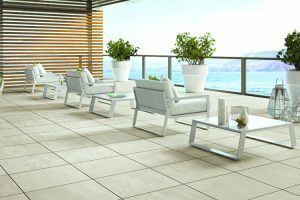 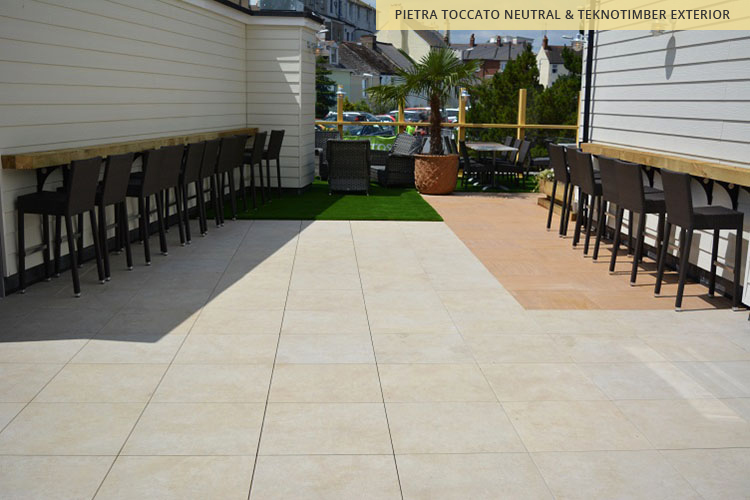 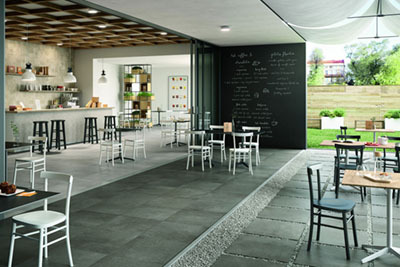 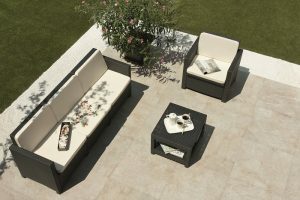 Pietra Toccato Neutral 01 was chosen, also in the large format style, to provide the terrace with a realistic stone-effect look.